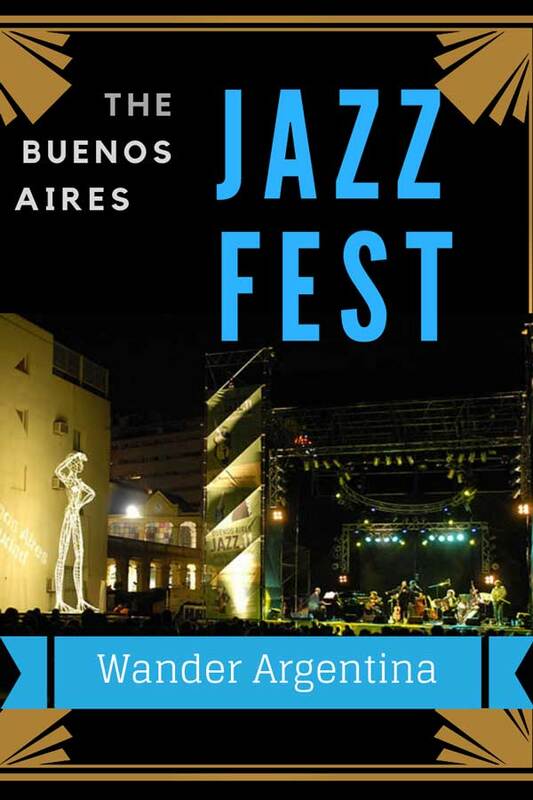 The Buenos Aires jazz scene often gets overshadowed by the sounds of tango, folk and rock ‘n’ roll, but for five days in spring jazz music fills the city during the annual International Buenos Aires Jazz Festival. With sounds ranging from classic bebob, to gypsy jazz, klezmer, to swing and nuevo tango, the festival features concerts from Argentina’s top names in jazz as well as renowned international artists. Taking place in November, the Buenos Aires Jazz Festival grows larger every year and now welcomes nearly 300 professional and up-and-coming musicians. The event is a rare chance for Argentine jazz musicians who live and work overseas to return home for some gigs and gives international musicians, who don’t usually have Buenos Aires on their tour roster, an opportunity to perform here. The city-sponsored festival has featured international artists such as Americans; Peter Washington performing on double bass; drummer Billy Drummond; guitarist Wayne Krantz; and singer Michelle Weir; and the Israeli duo of cellist and singer Maya Belsitzman and percussionist, Matan Ephrat. Argentine musicians participating include fret-less bass player, Alfredo Remus; pianist and singer Ángel Sucheras playing New Orleans style jazz; double bassist Arturo Puertas ; a trio made up of members of the swing orchestra, Brazofuerte, drummer Hernán Avella, pianist Manuel Fraga and saxophonist and clarinetist Juan Klappenbachand; and a group billed as Afro-jazz, Ayelen Zuker & Timeless Soul Band. Other event locations are; the Parque Centenario Amphitheater, where nightly jam sessions will take place; Almagro’s Café Vinilo and one of Buenos Aires’ best known jazz clubs, Thelonious, in Palermo. Buenos Aires’ historic immigrant neighborhood, La Boca is also jumping on the jazz bandwagon again this year and will host headliners, including the festival’s opening show, the Peter Bernstein Quintet, at its newest auditorium, Usina del Arte. Special free events will take place at the Colón Theater’s beautiful Salon Dorado. Lauded every year are the end of concert jam sessions at Parque Centenario amphitheater, where musicians from different continents and sub-genres improvise together, bringing the crowd to their feet as they communicate only through music. This year they will be hosted once again by popular host and trumpet player, Gillespi every night at 10 pm. For the fourth time this year, the AMIA Jewish Community Center will also host two nights of concerts in their concert hall during the festival. Due to security concerns at this venue, audience members must bring I.D. and are asked to arrive one hour before the performance. Closing out the festival this year is a very special concert with Brandford Marsalis and his quartet, with drummer Justin Faulkner, pianist Samora Pinderhugues and double bass player Russell Hall at the Colón Theater. Tickets for that show are already sold out. In an effort to foster the Buenos Aires jazz scene, the festival includes master classes, music clinics and workshops in singing, drums, stand-up bass, guitar and piano for aspiring musicians. Click the link below to see a day-by-day event calendar (when it’s published). Tickets for paid events can be purchased online via the website Tu Entrada or at their office. —Free events, including the free concerts everyday of the festival, are first-come, first-serve. and others, see the whole program on the official Buenos Aires Jazz.18 Festival page here.